Paul Bunyan & the Tall Tale Medicine Show @ Center for Puppetry Arts – Atlanta (ages 4+) Friday, Saturday & Sunday http://www.puppet.org/buy-tickets/2018-19/paul-bunyan-and-the-tall-tale-medicine-show/ Center for Puppetry Arts is a historical hoedown with folktales and fables that honor American Tall Tales. Opportunity to create a Babe the Blue Ox Hand Puppet. Rescue Dog Games @ Piedmont Park – Atlanta (all ages) Sunday https://www.facebook.com/events/2267613856897496/ Bring your pup and get out on the lawn to participate in interactive puppy/human games, a disc dog show, dog costume contest, music and other festivities to shine a light on the importance of pet adoption. Avondale Art Walk – Avondale (all ages) Saturday https://www.facebook.com/events/242888429761396 The Avondale Art Walk welcomes neighbors and visitors to walk, shop and socialize while enjoying live music, exhibits, art demos, local food, and beverages. Mommy and Me Make Slime @ Kids & Main Playcare – Lawrenceville (all ages) $15 https://www.facebook.com/events/719984411700117/ Watch as your kids ooh and aah at the slime masterpieces they create. We'll make a batch of glitter slime and a batch of glow-in-the-dark slime. After the activity we'll enjoy pizza and juice and the kids can have a blast playing in the Play Center. Tucker Chili Cook Off @ Old Town Tucker Merchants Association – Tucker (all ages) $5/person Saturday Taste and judge all the chili entries and explore different businesses and vendors. 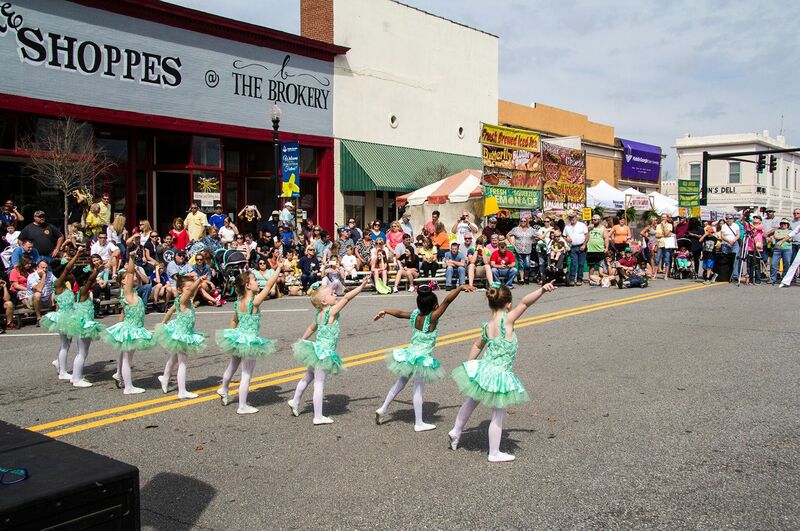 Forsythia Festival – Forsyth (all ages) FREE Saturday https://www.facebook.com/events/315060479080512/ Held in downtown Forsyth, this family-centered events that culminate in a two-day arts-and-crafts show. Other events include a children’s fair, 5K, sporting tournaments, live entertainment, a beauty pageant, a car show and other sanctioned community events. Spring into Action @ Cherokee County Aquatic Center – Holly Springs (all ages) See Site for FEE Saturday https://www.facebook.com/events/716542998710158/ An afternoon of fun with water aerobics, swim lesson evaluations, log rolling, crafts, etc. Will be raffling off a couple of passes as well.